It’s Time D-Heads! 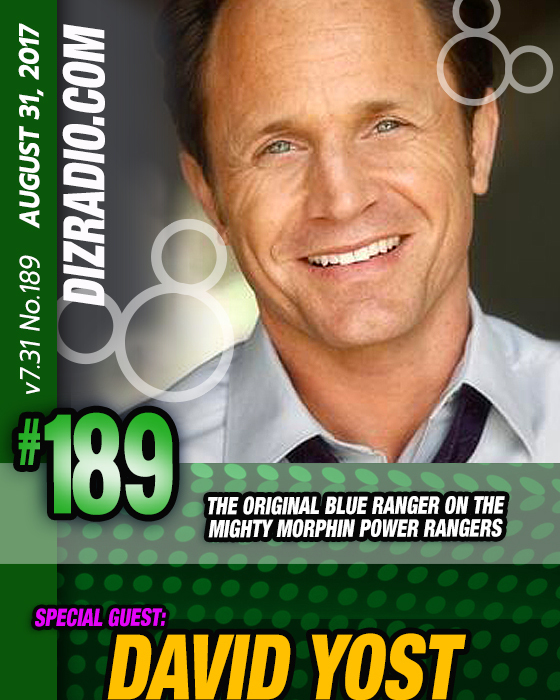 This week we remember those day of Rangers wandering Hollywood Studios, Classic Children’s TV and more as we welcome the Original Blue Ranger in The Mighty Morphin Power Rangers DAVID YOST (The Original Blue Ranger in Mighty Morphin Power Rangers, Actor, Producer) to the show! 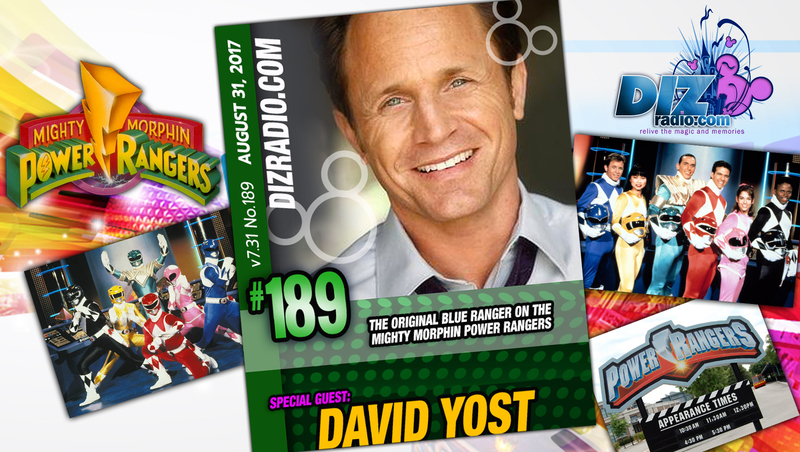 David stops in and talks about the 25th Anniversary of the Power Rangers, it’s lasting impressions, toys, comic-con events and what he is doing now! In addition no show is complete without the D-Team and we welcome an All-New D-Team Member to our family as Alexa is coming at you with the latest in Disney Parks in 5! You ask the questions and Erin has the answers in I Want To Know! Nathan is back dusting off the books and telling you just what happened This Week in Disney History and we have Paige fresh from the Walt Disney World Resort with a symphony for your ears in the Magical Music Review and let’s not forget a Blu-Ray, DVD, or Stream from The Vault with Jason! Domenic is here with tips for your Walt Disney World Vacation in The Short Leash and Cody returns to the team with more on David Yost in this week’s Hollywood Walk. There is news fresh off the D-Wire with the latest from Disney Springs, Animal Kingdom, Magic Kingdom, Disney Cruise Line, Epcot International Food and Wine Festival, Boursin Cheese, Hurricane Harvey, Slinky Dog Dash Coaster, Hollywood Studios, Disney Halloween Costumes, The Last Jedi, Star Wars, Pixar and so much more!